Five years ago, Jerry Neugebauer showed up at TPG and received a description of his duties as the leading global alternative asset firm’s new internal counsel. The duties were initially focused on the private-equity sector, with which he was almost entirely unfamiliar, but that job description lasted all of about thirty seconds. Instead, considering Neugebauer’s extensive background in capital markets and securities, TPG’s then general counsel positioned the young lawyer to guide the 25-year-old company into the new financial climate by helping to sell interests in some of its private companies in the public markets. Neugebauer has been gathering experience in the financial sector almost since the beginning of his career. 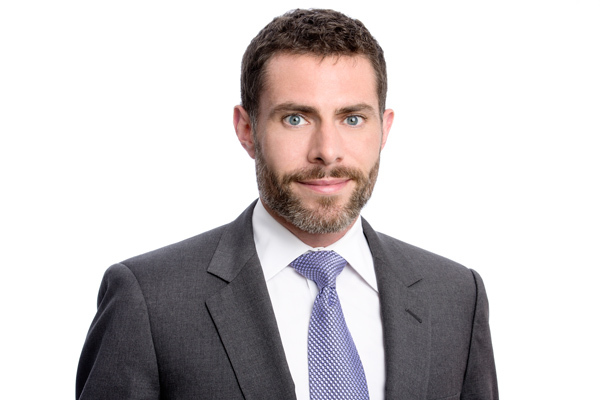 In 2004, after clerking for a year in the US Court of Appeals for the Ninth Circuit, he joined Cleary Gottlieb Steen & Hamilton LLP, an international, law firm with a strong reputation for work in capital markets and securities. Because the firm worked closely with non-US companies seeking listings on the New York Stock Exchange or the Nasdaq or looking to gain access to US capital markets, he took the job with the hope of gaining Latin American exposure. Despite his proficiency in Spanish and time spent in both Spain and Ecuador, though, Neugebauer found himself working primarily with French banks transacting in the United States. Still desiring overseas exposure, he put his hand up to move to the London office instead. This was an easy sell to the higher-ups, because foreign offices can be difficult to staff. After a four-and-a-half-year stint in London, Neugebauer returned to the States with a goal of exploring a career outside the law-firm environment. At the same time, Michael Ryan, a partner at Cleary Gottlieb, showed up at his door with an opportunity to serve as an in-house counsel at TPG. The firm was a longtime client and wanted to drive down its legal spending efficiently by internalizing some of what it had outsourced up until that point. Neugebauer remembers his initial confusion at the suggestion. He’d responded, “Michael, I’m sure you’re aware that I do capital-markets work. TPG is a private-equity firm. They probably need M&A or private-equity lawyers.” At the time, he’d done about five hours of M&A work over the course of his career and maybe thirty seconds of private equity. “You must have walked into the wrong office,” he told Ryan. After further conversations both internally and with the folks at TPG, however, Neugebauer recognized the opportunity as a valuable one. Not only would it give him the career change he was seeking, but “being a capital-markets lawyer wasn’t what it once was,” he says—the practice wasn’t as lucrative and had become increasingly commoditized. The option to transition into private equity, with the safety net of Cleary Gottlieb (given that he’d technically remain an employee), looked very attractive. With equity markets warming up, TPG began building its capabilities to take its controlled companies and legacy consortia deals public. Less than a year after Neugebauer started, TPG hired Julie Clayton as an equity capital markets expert out of Bank of America Merrill Lynch. She was tasked with driving the process of selling stakes and portfolio companies in the public capital markets. Neugebauer worked closely with Clayton as she familiarized herself with TPG’s portfolio and manner of approach, helping navigate legal issues. “My role is to be the legal voice behind the structuring of those deals, ultimately through to execution,” he says. The Pennsylvania native explains that such an endeavor entails extensive planning and structuring, including working meticulously through securities laws and the contractual provisions of a company tapped for selling. His main objective is “to map out the most efficient path to liquidity from a legal perspective while Julie approaches it from a market perspective.” Timing, company happenings, and when a company reports its earnings, for example, are inputs that determine how TPG should move forward. The unpredictability of the job gives Neugebauer, a self-proclaimed “deal junkie,” a charge. “Each transaction is a journey,” he says, adding that while his team plans extensively for each deal, unforeseen challenges always arise. “You learn to expect a curveball at some point.” The suspense fuels him, and he loves working with the TPG team to clear hurdles and considers it extremely gratifying to look back and see what they’ve accomplished together. Cleary Gottlieb Steen & Hamilton LLP is a pioneer in globalizing the legal profession. Founded by seven lawyers in 1946, Cleary has grown to more than 1,200 lawyers from more than 50 countries. The firm has a proven track record of working across practices, industries, and continents to provide clients with innovative and actionable approaches to their most complex legal and business challenges. Cleary has enjoyed a long-standing relationship with TPG dating back to 1993. Since then, the firm has worked with TPG across multiple platforms and regions. Cleary views the relationship between the two firms as a partnership of trust, and considers it a privilege to work with TPG on some of its most significant matters.